Faith in G-d & A Human Being? 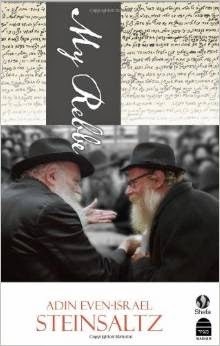 My recommendation for this new biography – My Rebbe, by Adin Steinsaltz. Also, check out www.therebbe.org. As we approach the twentieth anniversary since the great Rebbe, Rabbi Menachem Mendel Schneerson physically left this world, I dedicate this article to the faith one is expected to nurture in “the servants, the prophets” of G-d in every generation. The faith a person has in Tzadikim- spiritual righteous human beings, is an extension of the faith we have in G-d. G-d who in His great mercy is beyond comprehension, and who takes care of his world, sends His human messengers in every generation to represent His interests in this world. The Baal Shem Tov explains that according to the refinement of the soul of an individual, which may have already taken place in earlier reincarnations, a person merits to feel his special connection to this shepherd and guide. Once, immediately after the Sabbath when there was no chance anyone had money in their pockets, the Baal Shem Tov asked his disciples to purchase candles to brighten up the house of study. The students hurried to fulfill their masters’ request and placed their hands in their pockets to pay with the money they would surely find. Such was their faith in their teacher and mentor. The soul is eternal and not limited to any physical limitations, especially the soul of the Tzadik- righteous Holy man. As the years advance, his soul becomes stronger and more available to all those who connect to him, by following his requests and studying his teachings. There are great benefits to pray to G-d, at the place where the body is interred. Prayers of the individual are more readily accepted, since the place is holy, and because one is aroused more deeply in prayer standing before this great person, his prayers are more meaningful, more powerful and reach deeper and higher levels in G-d. Prayers at this place, connects ones prayers with the Holy Temple as it will be in the times of Moshiach. Imagine the incredible superior quality there is in such prayer and connection with G-d.
Once, a certain villager fell ill and asked his wife to ask the Tzadik for a blessing. She didn’t believe in the powers of a Tzadik but to please her husband she hired a wagon to travel to Reb Yisroel of Ruziyn. On her way she passed a village where the local innkeeper in dire straits sent his wife to go along for a blessing to address their own difficulties. When they arrived, they both wrote down their problems and request for a blessing. In their excitement, each woman took the others woman paper. To the lady whose husband was ill, the Tzadik gave a blessing. To the lady whose husband couldn’t pay his bills, the Tzadik recommended an application of hot cupping glasses and leeches. This woman had a strong faith and when the day approached for the payment she got her husband to place the blood sucking leeches and applied the heated cupping glasses. The henchman who came to pick up payment reported to their boss that the tenant was lying in bed dripping with blood all over him. Deeply moved, the landowner forgave the debt and gave them three years rent free. We learn immediately, the grave danger there is to be in the vicinity of a bad group of people and even if it’s just their possessions. People and their belongings radiate positive and/or negative vibes. How many is a quorum? This we know from the story of the spies who spoke badly of the Land of Israel. The Bible says, “Until when will this wicked quorum….” and this was directed to the ten spies who spoke badly. In the original Hebrew – G-ds language in the Bible, the same word to describe G-ds presence amongst an assembly of a quorum, for the good and holiness, is used in our story with Korach. This teaches us, no matter why ten souls are gathered, this gathering creates the recipe necessary to draw the presence of G-d in their midst. 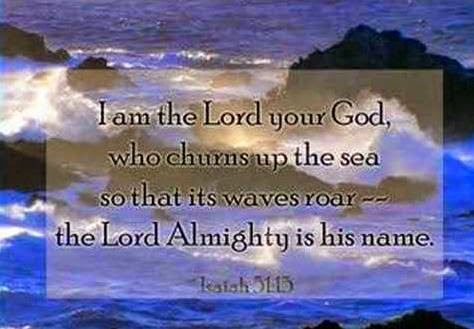 However, it is clearly written “The heavens and the earth I fill.” In the book of the Zohar it is written, “There is no place void of Him.” “The whole world is filled with His glory.” G-d is with every individual, and G-d is in a deserted wilderness. What does it mean that G-ds presence is manifested when ten souls gather? Although there is air everywhere sometimes and in some places you feel it more than other times and in other places. Nothing could exist, without the presence of G-d at that moment at that place. People however don’t always see or feel this. It takes special eyes and a special heart, one that is especially sensitive and open to this awareness. People can have open eyes and yet they are blind to what is happening around them. In the case of spirituality this is even more pronounced. Angels are spiritual beings and they have a much wider spectrum to see in this realm, therefore they could never withstand the much greater and intense energy of G-dliness in that atmosphere. There is a greater chance to be inspired and uplifted when souls gather in unison for spiritual reasons. G-d is more accessible, there is more of Him, He is more open to reach in some places and at some times more than others times and places. This is why it is so important that people realize the tremendous greater and stronger power there is when souls are gathered, and use these opportunities to include positive constructive objectives. When a person studies the Bible, G-ds word to the world, he summons a greater presence of G-d around him/her and in the environment he is in. Especially if it is in the presence of many, and in a place dedicated for this purpose. The Divine Revelation at Sinai, when G-d gave the Torah, is one of the most scientifically established events in human history. It is based on the evidence and personal experience of 600,000 male adults, besides women and children, which has been transmitted in identical form from parents to children throughout the generations in an uninterrupted chain of tradition, further authenticated by virtually identical daily observances of the same commandments in all generations and in all countries of the world. The prophet proclaims, “All those thirsty, go to water.” We don’t have to remain thirsty. There is water out there. It’s been said; the purpose of suffering, is the burning of ego. 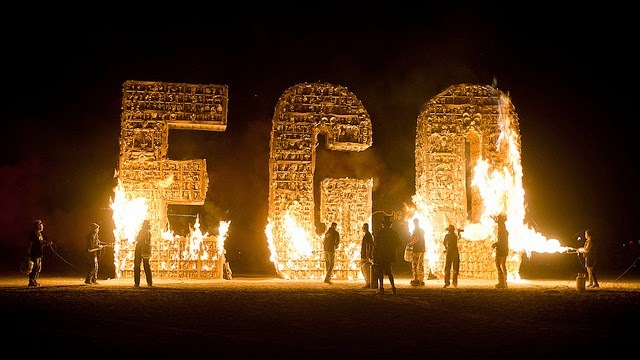 When ego is burned away, true awareness, real consciousness, begins to seep in. As soon as they heard this terrible decree, they insisted to proceed immediately towards the land, but G-d told them He would not be with them. What all of a sudden changed their minds, to see a possibility in conquering the land? Chassidus, an explanation of mysticism, explains the following. There are many types and degrees of insensitivity, coldness, dullness, and callousness towards spirituality, and the deeper meaning and purpose of life and existence. A person may sometimes understand in their mind a spiritual concept but his heart may be dull and closed to the feelings and emotions one would expect from those intellectual realizations and conclusions. The ideas are just not resonating and or making any impressions on the heart. It just doesn’t “impress” him/her. This person has a good head otherwise, and gets excited when physical and materialistic topics are considered and discussed. It’s just that when it comes to the more refined and ethereal ideas, soul, G-d, eternal existence, you might as well be talking to the wall. They just bounce right off or roll right over. When the person however is crushed under some calamity, a tragedy or misfortune G-d forbid, the hearts will open and sprout with the faith it always had inside itself. All of a sudden, when G-d frightened and startled their world, they don’t feel the fake sense of an unrealistic confidence, they are humbled from their inflated sense of self. Suddenly, a bigger force is considered as part of the picture, G-d. There is dullness of the brain. People who will understand and appreciate technology and tasty eating, but when it comes to G-dly talk, it floats right over them. Dullness of the heart. They understand and are aware of the existence of a universal unseen G-dly wisdom behind this vast and beautiful universe. They may even intellectually enjoy speaking and thinking these concepts, however the heart is, as if it is ill. While the brain enjoys thinking, the heart refuses to awaken and become inspired and excited. The door to the heart is closed shut. Another level, is the huge gap between the brain and the heart, with life itself. The mind and the heart are not able to influence the daily conduct and habits of the person. Isaiah 6:10 tells us the main reason for these spiritual maladies. Everything starts from the misplaced emphasis a person has for personal and selfish self-centered pleasures. It starts with permissible desires and then slips into the forbidden territory of following ones animalistic pleasures. When a person allows himself to follow the whims and lead of his desires and becomes a servant and slave to them, his soul becomes blunt and sealed to refined spiritual and holy concepts. Only by changing the self-serving ego which sometimes will happen because of external reasons a person will become sensitive to see and feel the more refined aspects of life and existence. When he/she is exposed to the more self-effacing aspects of their soul, sometimes to the point of a broken heart and “bitterness of the soul”, this will cleanse the corpulence of the self-indulgent pleasures and open the mind and heart to receive some G-dly light within a person’s life.